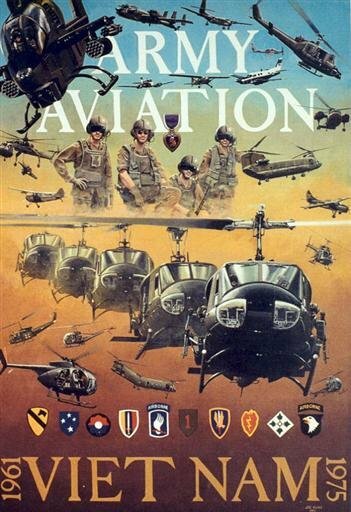 ll rotary wing and fixed wing aircraft used by the U.S. Army during the Vietnam War are represented in this detailed print. Shoulder insignia for major commands are also illustrated. The certificate of Authenticity includes a description of each aircraft, and the number lost, by type, during the Vietnam War.